At the time of writing Crazy Gary’s Mobile Disco, the monologue form – to which Owen has repeatedly returned – was as much accident as choice. “I knew that Alan Bennett was a playwright and he’d done these monologues that I’d seen on TV,” he says. “So I knew that monologues were something you could do. I thought I could write something a bit like that.” He stuck with the form because, as he puts it, “you can tell an awful lot of different kinds of stories in a monologue”. 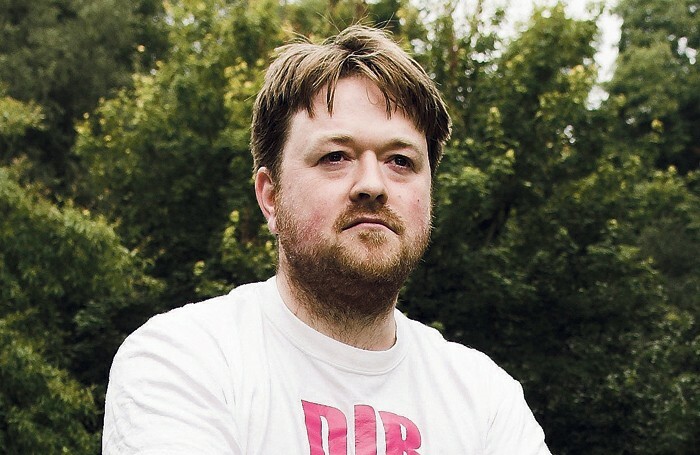 Owen explains that last year’s Violence and Son, on the other hand, was “the first play I’ve ever written that holds to those Aristotelean unities: it’s one set, one night.” His compelling debut at London’s Royal Court told the story of Rick – nicknamed Violence – and his teenage son Liam, each struggling to adjust to the other. “I was conscious of making a choice in that piece to use that very traditional form,” Owen justifies his decision, “because the play was about feeling trapped, feeling there was no escape.” This claustrophobia extended to the audience, who were confronted with a queasy series of ethical dilemmas. “I always want to leave the audience troubled,” he says. 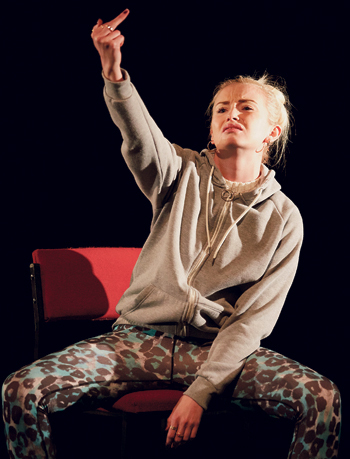 Iphigenia in Splott is not just an angry piece of theatre, though. “Anger is the thing that starts you writing,” he says. “But you can’t just write from anger. I’m sure we’ve all seen plays that seem like undiluted anger and sometimes that isn’t as effective as when the anger is harnessed and controlled.” The play responds with rage to the suggestion that “the people who were being hit by the cuts kind of had it coming to them”, yet does so through a carefully constructed narrative. What was your first non-theatre job? Stacking shelves in Tesco as a part-time job. What was your first professional theatre job? Having the play Crazy Gary’s Mobile Disco produced by Paines Plough in 2001. What is your next job? Jeramee, Hartleby and Oooglemore at Unicorn Theatre. What do you wish someone had told you when you were starting out? My partner told me: “Most people don’t start off with their first play being produced by Paines Plough, you should appreciate what is happening.” So my advice would just be appreciate everything. Who or what was your biggest influence? The writers that I most often read are Martin Crimp and Caryl Churchill – neither of whom I am particularly in the same form as, but they’re the ones I come back to again and again. And probably Conor McPherson, although I wasn’t aware of him until after I’d written plays. If you hadn’t been a playwright, what would you have been? In a sense nothing. I’m a writer because I wasn’t able to do anything else. But if I had my chances again or had to do things differently I think I would have been an astro-physicist. For Owen, starting with unsympathetic characters is a useful tactic, allowing both him and the audience to go on a journey with them. These characters are often drawn from people he has encountered in real life: Effie, for example, was inspired by a pair of pregnant teenagers at the playwright’s local GP surgery in Splott. “It was a journey for me to write something from their point of view that wasn’t condemnatory,” he says. If 2015 was a busy year for the playwright, the next couple of years might be even busier. As he reels off a list of other projects in the pipeline – a prequel to his 2002 play The Shadow of a Boy, commissions for the National Theatres of Wales and Scotland, new projects with Wales Millennium Centre and the Royal Shakespeare Company – Owen’s experience nods to the often frustrating reality of life as a working writer. Many of the plays, commissioned before a change of artistic regime, are now trapped in literary department limbo – an all too common experience for playwrights. One project that is going ahead is Jeramee, Hartleby and Oooglemore, a collaboration with theatremaker Tim Crouch at the Unicorn Theatre, London. The play, which started life as a 10-minute sketch, was born out of Owen’s time at Paines Plough and a challenge posed by Lucy Morrison to write a short piece for children. Since having children of his own, he has become interested in writing for young audiences “in a slightly more sincere way”, prompting him to return to the piece. He admits, though, that it’s a challenge. “Children are really hard to write for because they change so much very quickly,” he says. Designed for toddlers, Jeramee, Hartleby and Oooglemore introduces three characters who can only communicate using their own and each other’s names. Owen describes it as “an exercise for me to see how far you could push subtext”. Once again, it’s all about simplicity.